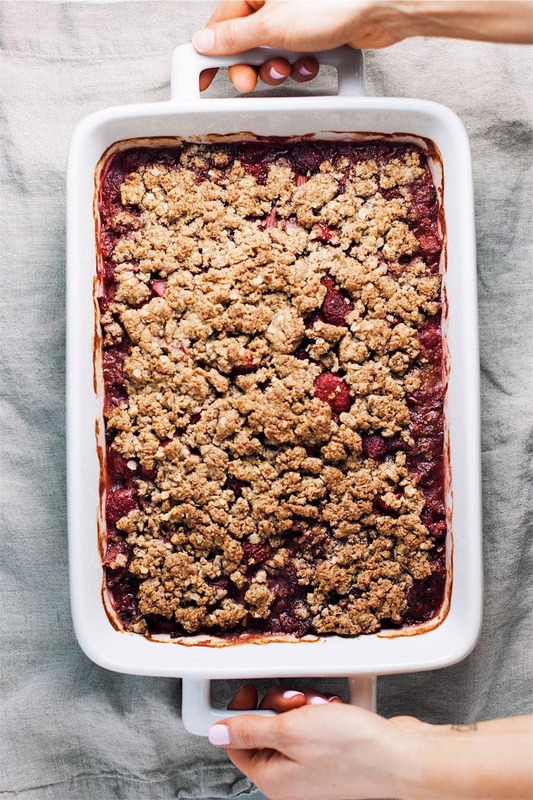 Refreshing & Simple Raspberry & Strawberry Rhubarb Crisp – sweet berries, tart rhubarb flavor, and all that crumble topping. 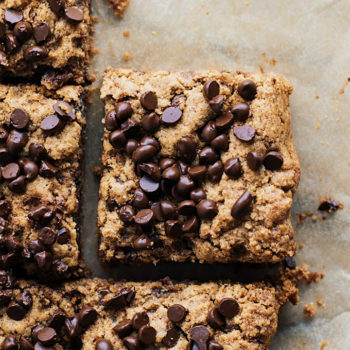 A simple, crowd pleasing dessert that takes 35 minutes to bake, is gluten free, easy to make, and so yummy! 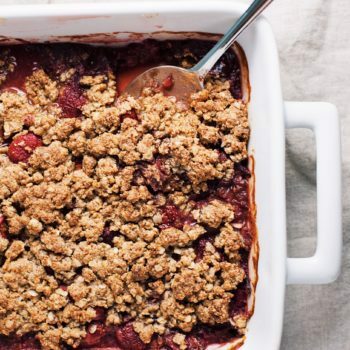 This strawberry rhubarb crisp is perfectly sweet but slightly tart, and paired so well with a crumbly oat topping. It consists of raspberries, strawberries, and rhubarb – the perfect combination. It also takes 9 simple ingredients, and 35 minutes to bake. Enjoy this dessert served warm with a side of ice cream and your heart will be satisfied. 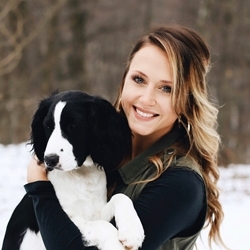 The perfect, simple recipe for Spring/Summer! If you don’t have or don’t like raspberries & strawberries, you can also make this recipe with blueberries, blackberries, or cherries. 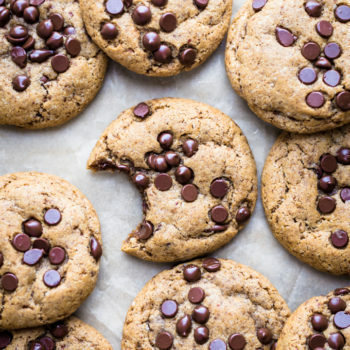 I made this recipe gluten-free by using almond flour, you can also use regular all-purpose flour if you don’t want to use almond flour. You can freeze your rhubarb crisp or store in refrigerator for up to 3-5 days in a sealed container. 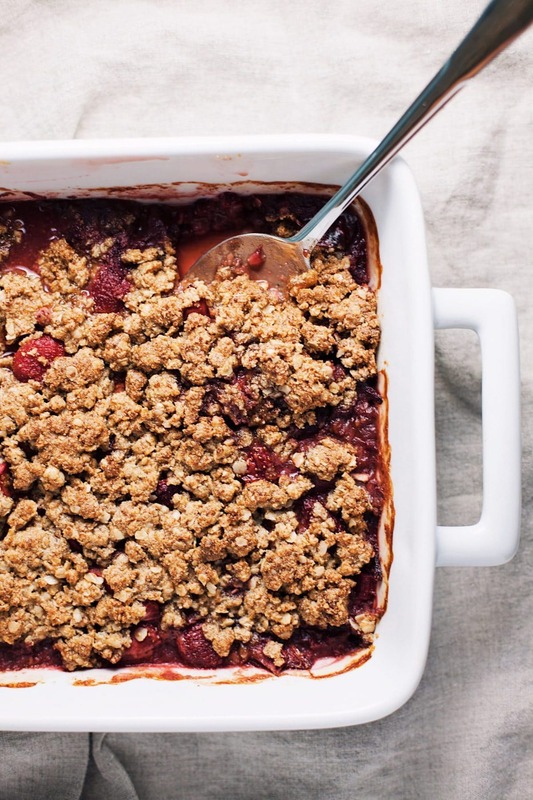 What is rhubarb crisp? Rhubarb is technically a vegetable but is considered a fruit. 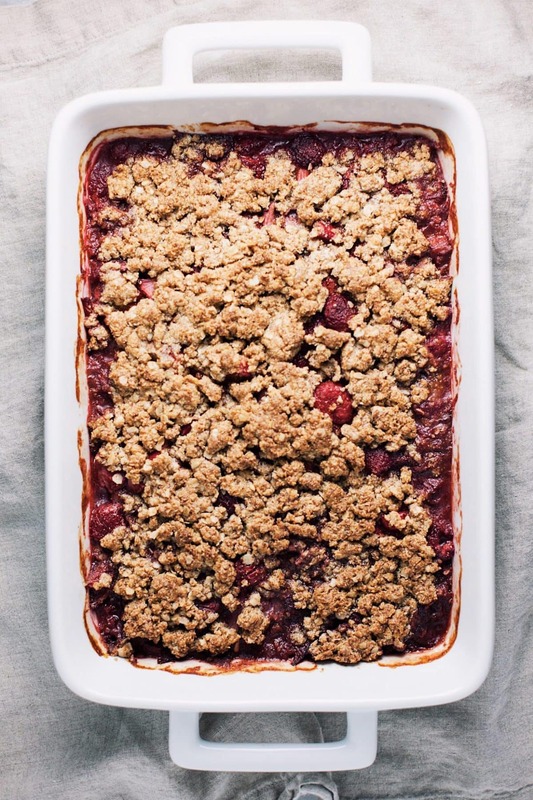 This strawberry rhubarb crisp has pieces of rhubarb, strawberries, and raspberries – and the “crisp” part is the crumbly topping of either flour, oats, or nuts. This dessert is perfectly sweet – but since it has rhubarb, also has a pleasant tart flavor. Simple & delicious raspberry & strawberry rhubarb crisp! 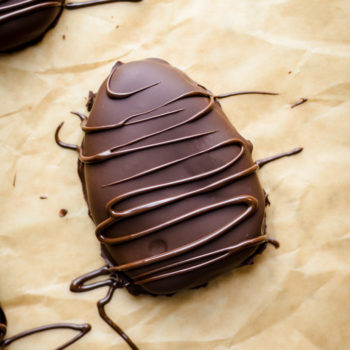 Takes 9 ingredients, 35 minutes to bake, and is the perfect spring/summer recipe. Preheat oven 350F. Grease a 13x9 baking dish. In a bowl mix berries, rhubarb, and coconut sugar together. Lay berries in baking dish. Mix all of crisp topping ingredients together and crumble evenly over berries. Bake for 35 minutes - until topping is golden brown. If you don't have or don't like raspberries & strawberries, you can also make this recipe with blueberries, blackberries, or cherries. I made this recipe gluten-free by using almond flour, you can also use regular all-purpose flour if you don't want to use almond flour. I love this combination! Can I use frozen fruit? Yes, you can definitely use frozen fruit. Hope you enjoy it 😊. I served this with ice cream and it was a hit! !